Easy to access pull through sites. 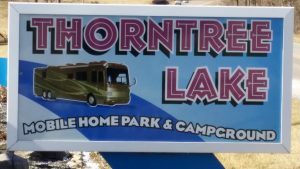 Thorntree Lake is a quiet, safe and well maintained campgrounds located just inside Decatur County off Old US HWY 421 at Exit #123 in St. Paul, Indiana. The campgrounds is conveniently located and is just 15 minutes from Indiana Grand Racing and Casino in Shelbyville, Indiana and just 7 minutes away from the Honda plant in Greensburg, Indiana. 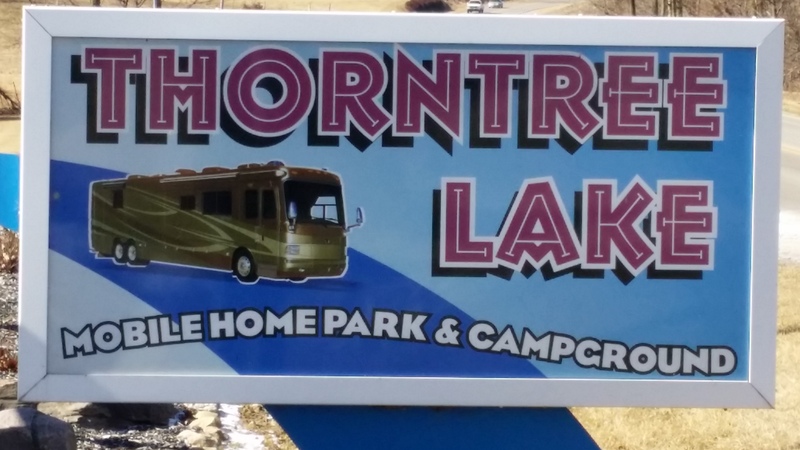 Thorntree Lake is a smaller and more peaceful campgrounds that has 31 campsites available. The property sits on 37 acres and has a 4 acre fishing lake in the middle and a majestic creek that flows through the back of the entire property!! YOU WON'T BE DISAPPOINTED!! We currently offer weekly, monthly and seasonal sites. At this time, we DO NOT have daily sites available. Please call 317-442-1313 to book a site.